Alice is proof that Robert Juliat continues to lead the way in followspot design ! The new dynamic short-throw model features an exclusive 600W cool white LED source and is the first professional LED followspot able to deliver a high output comparable with that of 1200W discharge followspots. 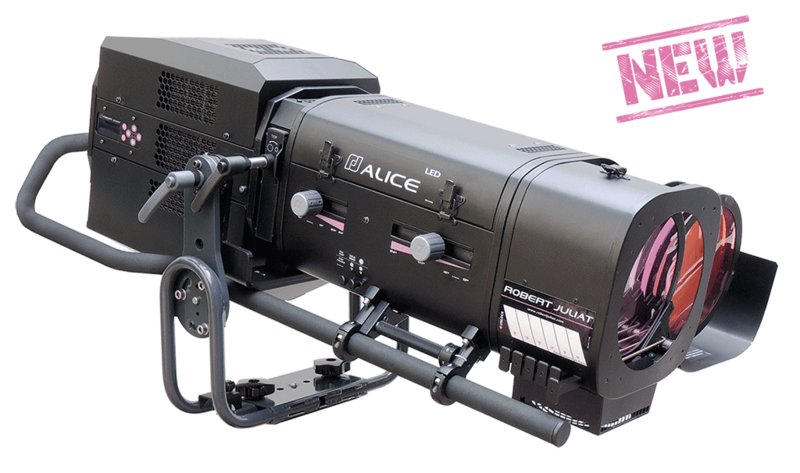 With its compact dimension, silent operation, smooth electronic dimming and the benefits of no lamp change and powerful output, Alice is the ideal truss spot for larger venues and full size theaters.